Integrates the key concepts and techniques of marketing research with the management of customer information from databases, loyalty cards and customer files. This work links marketing research techniques with real-life marketing research practice and highlights how to brief and select marketing research suppliers. This concise book places marketing research in the bigger picture of marketing and demonstrates how marketing research and its understanding should be seen as a key element of marketing rather than a backroom activity performed by statisticians.The structure of this book closely follows the core elements of the MRS/CIM Marketing Research and Information Module, so will be ideal for those students studying towards these diplomas. 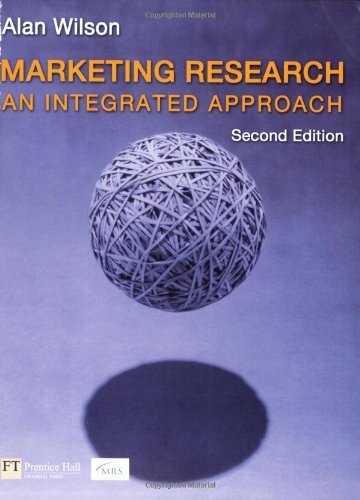 This book is also ideal for those taking a short course in marketing research for the first time.